Pour the hot cream over the chocolate chips and allow to sit for 1 minutes. Use a spatula or spoon to stir together the melted chocolate chips and cream until completely smooth. 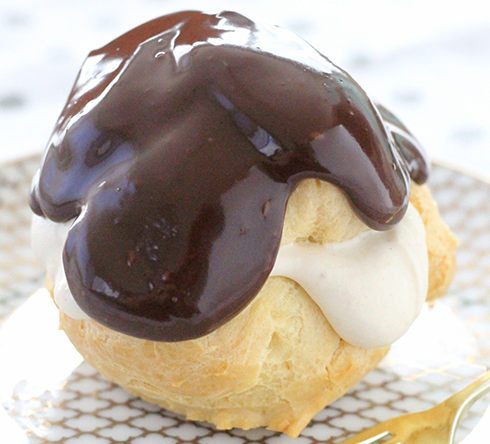 Gently pull apart each cooled cream puff so you have a top and a bottom half for each. Use a spoon to fill each puff generously with the peanut butter whipped cream. Top each puff generously with chocolate ganache.